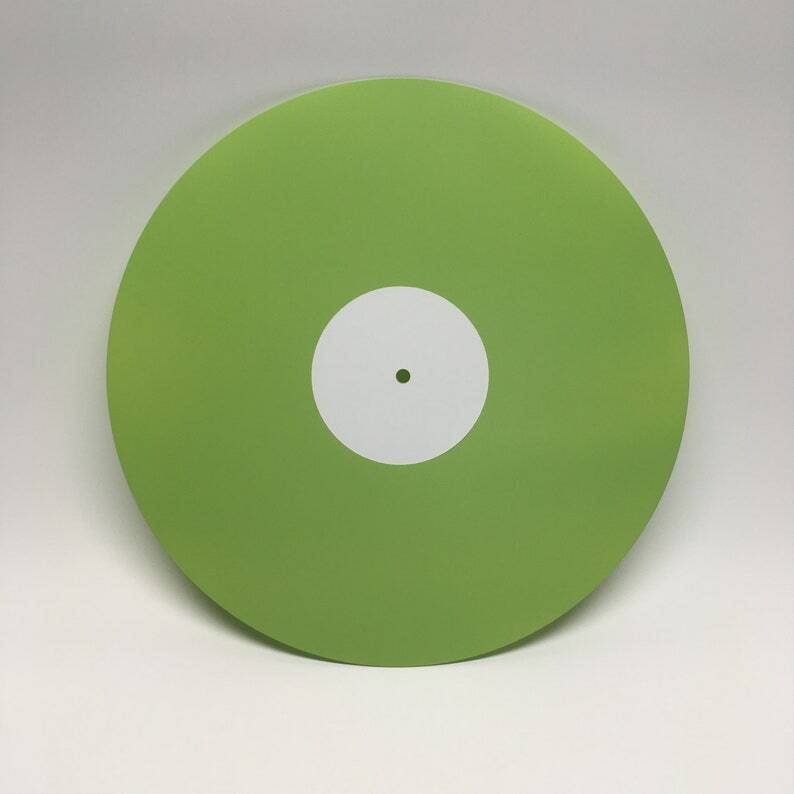 We now offer color vinyl*! Scroll photos above for all the colors we now offer in the pictures. This listing is for Light Green 12" - you may add a custom label and/or a custom jacket (sold separately) in our store. This record ships with a plain white label and plain jacket of your choice (unless you order a custom label and/or custom jacket). How it works** --- we promise it is simple and straightforward! iTunes files are the best, they are m4a and are much better than mp3 (see FAQS for more detailed info on best file types OR if you prefer for us to purchase your song files for you). Apple Music and Spotify files do not work!. Amazon, Google files, mp3s are ok but not recommended. *We create the color using clear vinyl. If you would like us to create a specific color just for you for an additional $15.00, please contact us and let us know what you have in mind. **Mixtape vinyl is a duplication service. We take your legally purchased/owned song files and make a vinyl copy for you for your own enjoyment or to give away as a gift. These are not for resale. Please do not submit any copy-protected song files or unauthorized (bootlegs) song files. *** Etsy does not let us save changes to your shipping label so, to avoid any potential error, we typically refund the order so you can re-order with the correct shipping address.